Most businesses rely on some form of machinery whether it’s PCs in an office or construction machinery on a building site. Buying this machinery can often be a big expense and there can be running costs to consider too. Here are just a few tips that can help you to spend less when sourcing machinery for your business. Business machinery can cost thousands. Few new business owners have the available funds to buy machinery outright – often some form of financing is needed. Some manufacturers and retailers will offer their own finance schemes, such as these glasswashers from Ideal Catering. Such schemes may have good interest rates. Generally, you’ll need a good credit score to take advantage of these schemes. Being able to place down a larger deposit will increase your chances of being accepted and will allow you to pay off this finance more quickly. If you have lots of different types of machinery to buy, you may find it easier to take out a business loan from your bank or a private lender to fund your machinery. Banks tend to have lower interest rates than private lenders, but may require a higher credit score. 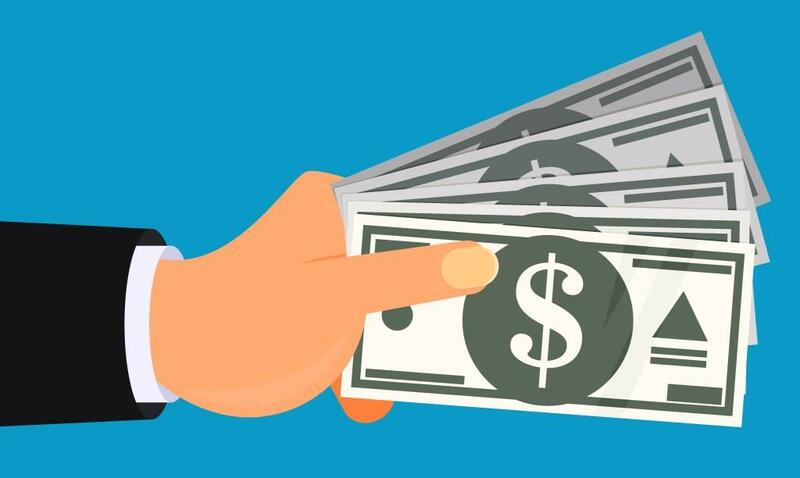 Another option could be to try peer to peer lending – interest rates are generally favorable and getting accepted for these loans can be easier than approaching a bank. Used machinery is usually much cheaper than brand new machinery. Of course, you do have to be careful of the condition – machinery that has had lots of use is more likely need repairing in the future. You may be able to find used commercial machinery being sold independently in your area via sites like Gumtree. Such sales are often the result of company closures – whilst some of this equipment may be well-used there could be other machinery that is practically brand new and only gently used. Such machinery can often be a real bargain. Another option is to approach a used machinery dealership such as this seller of construction machinery. Going through such companies can often be a more reliable option – such companies may only stock machinery of a certain standard so you’re less likely to get ripped off. It’s worth reading reviews of used machinery sellers to check that they are reputable. Energy efficiency can be a factor worth considering. Some machinery will use up a lot of energy to operate, which could result in high energy bills in the long run. A greener machine could save you money overall, even if it costs more upfront to buy. By and large, newer machines tend to be more energy efficient than older machines. There are sites out there in which you can compare machinery for energy efficiency such as this guide on the greenest office PCs. You’ll also save money by focusing only on your company needs. There’s no point buying the most complex machine available for the sake of a few of flashy gimmicks that you’re never going to use. Instead read reviews to find machinery that has a practical use. For example, you may not need not to buy a commercial printer capable of printing off a hundred documents a minute if you’re only ever going to print off one or two sheets. By opting for something more basic, you could save yourself a lot of money. It could be worth considering the method of delivery as this can result in hidden costs. Most sellers will charge a delivery fee on top of the purchase price – the cost of this can depend on the type of machine you’re buying, how far it has to travel and whether it needs to be assembled/disassembled. Getting machinery shipped over from another company is likely to add the most to the cost. Buying a local machine is recommended as it may also give you the option to inspect it in person first. You may even be able to pick up certain machinery in person if you have a van or a truck and are sourcing it locally. Assembly and disassembly can also be expensive as it may require hiring professionals to handle this process on either end. You may be able to save costs by assembling the machine yourself, but you need to be confident that you know what you’re doing. When it comes to machinery that you may only use once or twice, there’s no point buying this machinery – you’ll be wasting your money on something that spends most the year collecting dust. In such cases, you’re much better off hiring this machinery. There are hire companies out there that rent out everything from commercial carpet cleaners to cranes. A good hire company will look after its equipment – it’s worth reading reviews to find companies in your area that have a good reputation. In many cases, you’re better off repairing machinery than you are replacing it. By shopping online, you can find all kinds of specific parts from lamps for tanning beds to axles for mining equipment. If you’re savvy enough you may be able to handle these repairs yourself, however most people will likely hire a technician. When it comes to machinery that’s over 20 years old, you may want to consider replacing the machine entirely – it’s possible that you could save money with a newer machine that is both more energy-efficient and less likely to degrade. Certain specialist machinery may also be very expensive to repair as it may need a specialist technician, in which case you may find it’s more economical to replace it. Maintaining your machinery well will keep it lasting longer. This involves keeping your machinery clean, regularly servicing it for faults and making preventative repairs when necessary. Keeping machinery clean may simply involve keeping a clean environment. Air purifiers may be needed to prevent certain machinery getting damaged or contaminated from particulates in the air. When it comes to servicing machines, modern machinery may be able to do its own diagnostics and warn you of faults in advance. Older machinery meanwhile may need to be manually serviced by a qualified professional. Many businesses keep logbooks to help keep a record of a machine’s condition – this can help to keep a not of faults, as well as potentially offering proof to a future buyer that a machine is good enough quality to sell. Insurance could help to cover the cost of repairing or replacing your machine if stolen or damaged. Some sellers may offer a warranty on machinery which may cover this for the first year or two. An extended warranty may be offered but this can often come with expensive rates that aren’t worthwhile for an individual machine. Instead you may want to consider taking out business property insurance that covers your most important contents. Such schemes can often be a good deal when it comes to protecting multiple machinery. In order for your employees to use your machinery, certain training may be required. Whilst you may be able to hire staff who are already trained, some companies may prefer to put existing staff through training. Licenses are needed for some machinery such as forklifts and construction machinery – in these cases, you may want to hire staff that already have the qualifications needed.